Alhaji Yusif Ibrahim is a real ‘slumdog millionaire'. 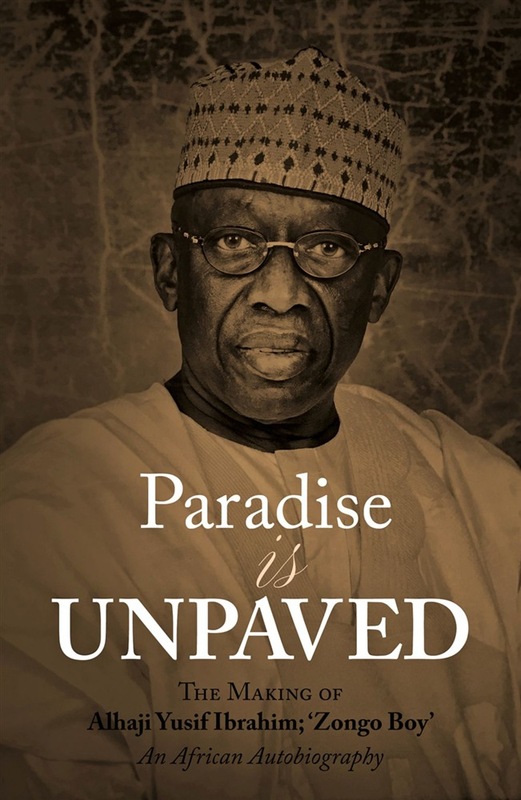 His life is a compelling tale, a truly African story of a self-made entrepreneur and philanthropist who parlayed business savvy, hard work, dedication, discipline, resilience, tenacity, courage, and a streak of scrupulousness into a business empire traversing various sectors. Alhaji was born in Kumasi Zongo in southern Ghana during World War II, back when that district was still poor and teeming with predominantly Muslim immigrants from northern Ghana striving to survive. He was blessed with a Western education in a world where most conservative Muslim parents were against their children going beyond the Islamic schooling system, ostensibly to safeguard the sanctity of the next generation of Zongo Muslims. Even then, an over-aged and oversized Alhaji had to walk to school barefoot with no lunch for the day. With a loan from his father's friend, Alhaji began an ill-fated petrol station venture soon after secondary school. Instead of abandoning his business vision, he refocused and moved on, even humbly taking up a menial job in Hamburg and cab driving in New York as stepping stones to a brighter future in business back in Ghana. Against all odds, Alhaji and his wife, Hajia Rabi Ibrahim, established and expanded the Dara Salam Group of Companies. And the next generation has been taken into the family business, as Alhaji has brought his children on board. The story of Alhaji's humble beginnings tells people, particularly the youth, that you can make it if you try, regardless of your background. This inspiring life narrative also shows that it is one thing to affect society with one's brilliant and innovative entrepreneurial ideas but quite another to change society for the better through acts of philanthropy, as demonstrated by Alhaji throughout his life, particularly for the Kumasi Zongo community in need. 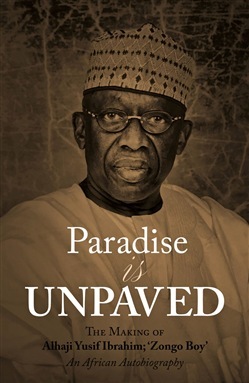 Acquista Paradise is Unpaved in Epub: dopo aver letto l’ebook Paradise is Unpaved di Alhaji Yusif Ibrahim ti invitiamo a lasciarci una Recensione qui sotto: sarà utile agli utenti che non abbiano ancora letto questo libro e che vogliano avere delle opinioni altrui. L’opinione su di un libro è molto soggettiva e per questo leggere eventuali recensioni negative non ci dovrà frenare dall’acquisto, anzi dovrà spingerci ad acquistare il libro in fretta per poter dire la nostra ed eventualmente smentire quanto commentato da altri, contribuendo ad arricchire più possibile i commenti e dare sempre più spunti di confronto al pubblico online.